Across the country, more and more public safety agencies are finding that a mobile-first approach increases overall officer effectiveness by providing always-on, ready access to real-time information and improved situational awareness. The sheer utility of a smartphone means field personnel are no longer dependent on a vehicle-mounted computer and can more effectively engage the community, regardless of their proximity to a patrol vehicle. When combined with the Samsung DeX platform, smartphones can replace in-vehicle computers as well as desktops, meaning a single device can now support in-vehicle, in-field and in-station operations. With DeX, mobile applications are optimized to take full advantage of a larger display instead of just stretching the smartphone interface, thus providing a much more effective user experience. An officer can use a smartphone in the field for queries or evidence collection, then dock the device via DeX in the patrol vehicle to make use of computer-aided dispatch (CAD) and geolocation functions. Upon return to the station, DeX can pair the same smartphone with a full-size keyboard and display in the report writing room. If the mobile management infrastructure of the department is properly designed, the officer’s smartphone is moving through these environments while staying inside a secure architecture that supports full interaction with criminal justice and departmental systems. In fact, officers using a DeX-capable phone for report writing can drop pictures from the phone right into the report and, using the agency’s internal network, move those photos to a secure evidence server. Throughout the workday, a single smartphone gives officers the functional equivalent of a range of devices, such as a scanner, video recorder, audio recorder and camera. There’s a convergence of technology occurring in public safety that’s comprised of expanding broadband capabilities, rapid updating of mobile-capable software (e.g., CAD and records management systems) and increased use of smartphones by officers in the field. For the first time in history, public safety data transmissions will be prioritized to ensure mission-critical information gets through. The rollout of 5G over the next several years will provide transmission speeds unlike anything seen before, easily supporting the use of high-resolution photos and videos along with real-time situational awareness based on location and remote sensor data. All of this furthers the concept of a connected officer, and agencies will be the beneficiaries of these developments — especially those that integrate DeX with their operations. Recently, an in-depth case study of Samsung DeX was conducted by The Public Safety Network. The report, entitled “Bringing Mobile First to Public Safety,” provides a detailed discussion of the capabilities that can be realized by using the DeX platform. The report also provides a detailed cost analysis and documents the potential savings of transitioning to a DeX-enabled operation. By leveraging existing telecommunications infrastructure, the associated incremental costs to agencies are minimized because the economies of scale are already built into the supporting network. The total cost of ownership for a DeX-based operation is significantly lower than the cost of managing a collection of technologies that includes traditional desktops, in-vehicle computers and handheld devices. The analysis found that a cost reduction of more than 15 percent could be realized in the first year of DeX utilization, with savings of approximately 30 percent likely for each of the following two years — savings that could be reallocated to other public safety priorities. Better yet, these savings occur while operational capabilities are being expanded, not downsized. In particular, a DeX-based environment provides efficiencies related to IT maintenance and support. Managing fewer devices, combined with the ability to remotely update those devices, results in significant IT savings and ensures timely installation of updates and patches. This, in turn, improves cyber security for the agency. Security is further assured because the smartphones are protected by Samsung’s defense-grade Knox platform which provides overlapping defenses against intrusion and malicious threats. Knox is particularly adept at protecting stored data because the security is built in at the chip level. Additional Knox solutions include powerful mobile device management (MDM) and enterprise mobility management (EMM) capabilities that allow agencies to put in place safeguards required by Criminal Justice Information System policies. Other security features on Samsung smartphones include full-disk encryption, biometric sensors and extensive integration with MDM and EMM applications. This multifaceted approach significantly lowers the overall risk of a compromised device or a security incident. Police officers are one of the most mobile work groups due to the nature of patrol operations. 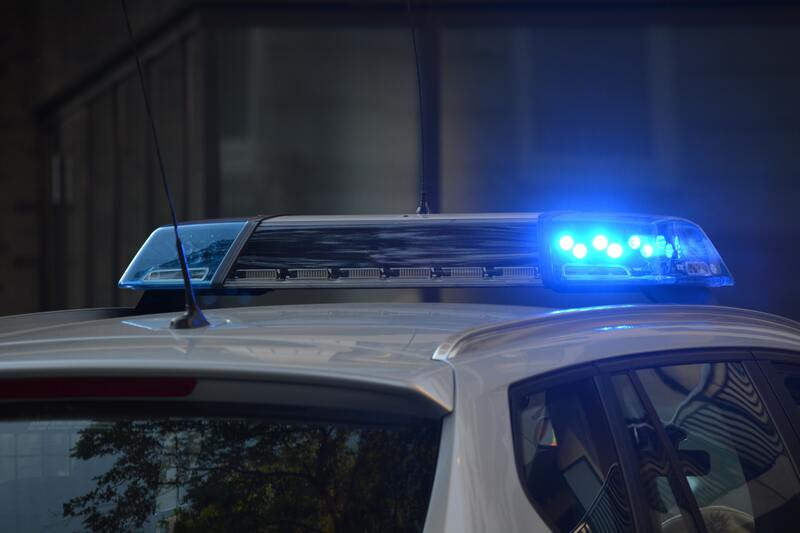 A mobile-first approach allows officers to stay connected and engaged, thereby untethering them from their patrol cars. DeX brings a whole new layer of opportunity to agencies that want to make the most of today’s technology and provide a powerful force multiplier to their field personnel.